The story of a city that finds itself, and one man who follows suit. 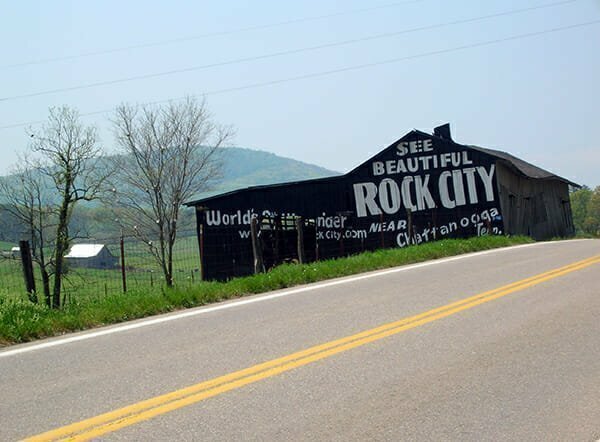 Growing up in Kentucky, “See Rock City” billboards were nearly as prevalent as exit signs along Interstate 65. 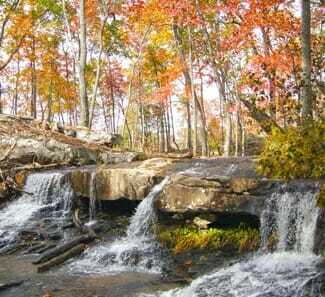 And, the way Chattanooga rolled off my seven-year-old tongue made me want to live in Rock City land. When my brother and I were young and portable, my mom made little weekend warriors out of us. 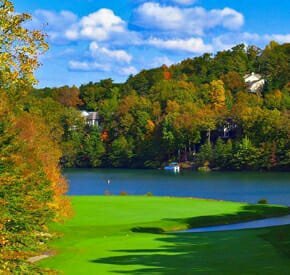 Places like Chattanooga, TN, were my more earthy, rustic versions of Disneyland — Lookout Mountain and Ruby Falls; the rivers; the music; the mountains; stomping through creeks; the Chattanooga Choo Choo and Rock City. And the accommodations, of course — a gazillion-star-view from our tent in a nearby campground. Chattanooga and the world around it was a childhood wonderland. But, little did I know then, that all this was just a thin layer of the tourist-friendly chrysalis covering a city that was about to take flight. Chattanooga is one of those topographically propitious spots on the map. 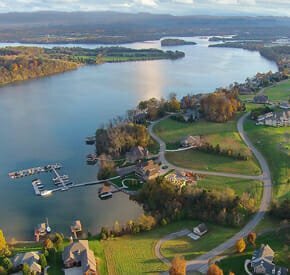 It’s all nestled down, safe and sound in the valley below the Cumberland Plateau, with the Tennessee River running through it, and a few other really famous ones running near it. The city is cloaked in extremes — crazy-dramatic waterfalls; climber-coveted rock faces that Outside Magazine writes home about; class four and five rapid-filled rivers that draw paddlers from around the world; caves galore; the Appalachian Trail and its surrounding wooded glory; and, of course, that peerlessly-marketed geologic paradise that anyone driving close to Tennessee has seen signs for— the aptly-named, Rock City; and on and on along a list that could fill a page or two. Chattanooga’s topographic advantages infused the city with the yin and yang of wealth, power, opportunity, and beauty that both attracted its colorful past and drives its progressive future. Chattanooga has become one of those cities that other cities aspire to be. And, when Keith Wilkinson, local (and unlikely) career tour guide, landed in this post-industrial, bootstrapping city in 1996, he saw a resurgence coming — in both the city, and in himself. But, the transformation that followed exceeded all expectations. Wilkinson had been a print shop owner, and graphic designer for years before landing in Chattanooga. No one could have convinced him that he would find himself driving around the country, a guerilla marketing tour guide in a “See Rock City” birdhouse-shaped truck in the years that followed. A long-time ‘history nut’ (as he calls himself), with a hidden propensity for all things geological, Wilkinson was like a kid in a candy store in his new Chattanooga home. He quickly went from part-time tour guide for the Chattanooga Visitor’s Bureau (CVB), to full-time Rock City rep. Soon after, the CVB wooed him back with a Director of Visitor’s Services position, where he stayed for 14 years. Wilkinson broke out on his own last year, becoming the city’s go-to independent tour guide. A tall, bearded, grinning, entertainer, and story-teller that could stop a crowd in the street with stories from the Chickamauga battlefield (the second bloodiest battle of the Civil War); how Chattanoogans made Coca-Cola big; and how the city rose from the ashes of being “the most polluted city in the country” in 1969. Wilkinson says every tour is like his first. And, it’s no accident that he found it here. Chattanooga was built for stories. It’s a coffer of little nuggets of history-defining events brought on by the fortunate and unfortunate choices that come with progress, great minds, wealth, and opportunity. As in show biz and the real estate market, location drove Chattanooga’s success as well as the demise of its industrial glory days. Wilkinson starts with the Chattanooga Choo Choo, and a little pre-Choo Choo (named in 1973) train history. Transportation was king in the early 19th century, and Chattanooga’s North Terminal put it on the map. 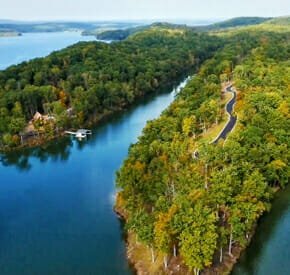 It drove wealth and opportunity in, and drove the Cherokee nation out, carving a path for the Trail of Tears out of the Grand Canyon of Tennessee. Wilkinson moves on to the nation’s first and second largest (next to Arlington) national cemetery. The ghosts come out here and Wilkinson tells their stories — German POWs, the birth of the Wisconsin fight song, and the first medal of honor recipients. Moving on to the Art District, passing by free, city-wide electric buses, sculpture gardens, and the Hunter museum, the “best art museum in the southeastern U.S.,” Wilkinson says there’s no way to describe how radical the great Chattanooga transformation was and what affect it had on residents. “I never would have believed it had I not watched it happen,” Wilkinson said. By the 1980s the level of pollution and the depressive affect that had on the city was embarrassing, says Wilkinson. City officials and wealthy locals got together and made some changes. Private money brought the aquarium, which quickly became one of the most popular in the U.S. The free, electric bus system soon followed, now both coveted and copied by cities around the world. Next came the revival of the big, beautiful Walnut Street Bridge, the oldest non-military bridge in Tennessee. It was transformed into a pedestrian bridge and linear park that connects the city’s north shore to the arts district, the riverwalk, and the Tennessee Aquarium. The mayor is a regular jet-setter, presenting to city planners around the world. This Southern butterfly has become a city to replicate. One thing that the city mastered early on, and continues to thrive on, is tourism, every city’s favorite buzz-word. What stood out to visitors Stan and Marilyn Booker, natives of Maine, is that they were always the most important people in the room. “The city of Chattanooga really wanted us there. The visitor’s bureau sent us everything we needed ahead of time. They checked in with us. They even brought us Keith!” Marilyn Booker said. Wilkinson is a Civil War buff, and delights in multiple day tours at Chickamauga Battlefield, Point Park, Lookout Mountain, and various other standouts. The Bookers, there for a military reunion, felt a week wasn’t enough. From Civil War history, to natural wonders and downtown culture, they said they could listen to Wilkinson forever. As the sun sets over the Tennessee river, watching yachts passing the docks at Ross’s Landing, surrounded by passersby and a bustling downtown, Wilkinson says the city’s resilience is palpable. 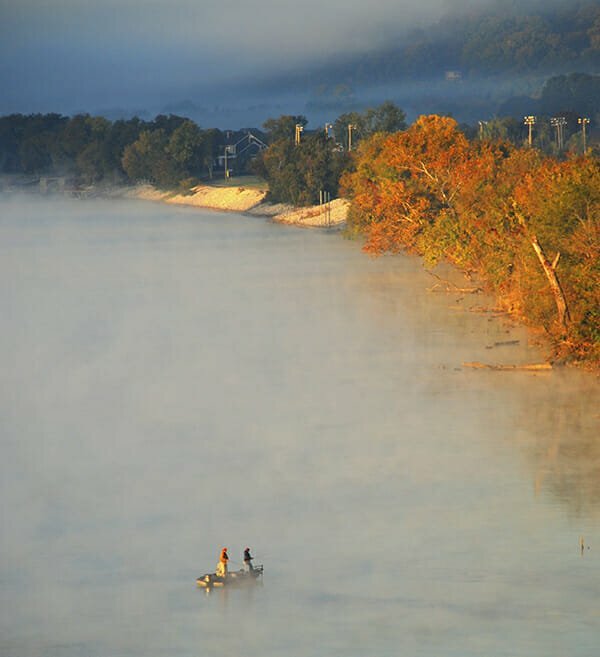 Chattanooga is a Southern mecca of rebirth, perseverance, and almighty Southern hospitality. It’s a city on a roll, and Wilkinson’s going to stick around to tell about it. 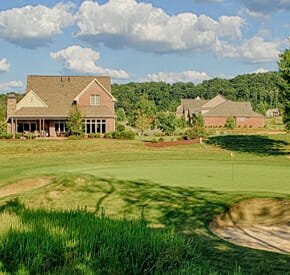 If you’ve ever dreamed of a peaceful country lifestyle with spectacular mountain views, then Jasper Highlands is the community for you. 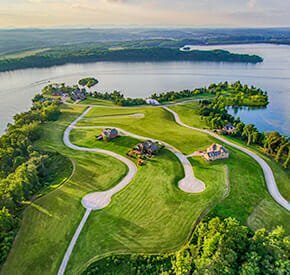 Located in southeast Tennessee just north of Chattanooga, Jasper Highlands features custom home designs ranging from 1,450 to more than 3,000 square feet. 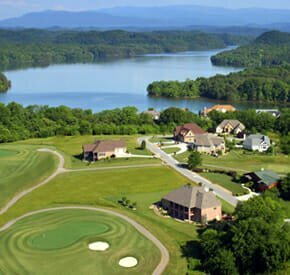 Choose one of those options or build your own log cabin on a homesite of between one and four acres. To establish a mini-farm or an equestrian estate, select from a variety of properties up to eight acres in size. And for highland views that seem to go on forever, there are multi-acre sites set along ridge lines and atop commanding bluffs. Also available are even larger tracts—ranging from 40 to more than 1,000 acres—that can be used as pastureland for raising horses, private hunting grounds, or creating your own personal nature preserve with dense woodlands, mountain creeks, and abundant wildlife. Check out these remarkable properties at TNLand.com.